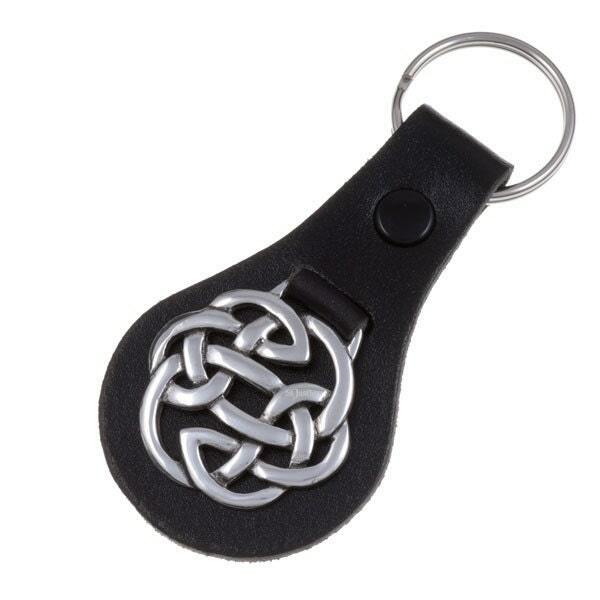 Lugh’s knot key-fob – a black leather key-fob with pewter openwork Celtic knot. Lugh was the most honoured of the Irish gods. He was renowned for his multitude of talents and skills. As with all StJustin and other products, this item comes with a lifetime guarantee.